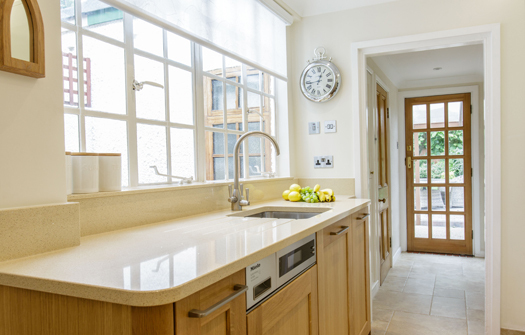 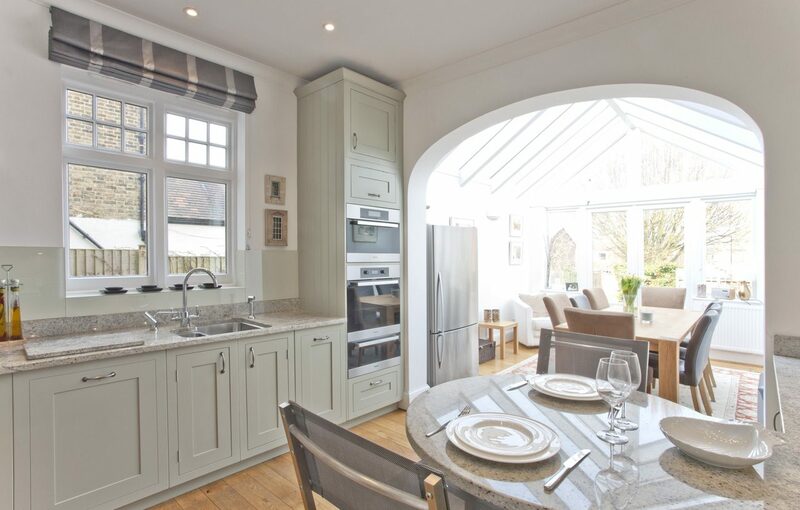 With the kitchen opening on to the garden room, creating a social kitchen space for both cooking and entertaining was important in this classic in-frame kitchen. 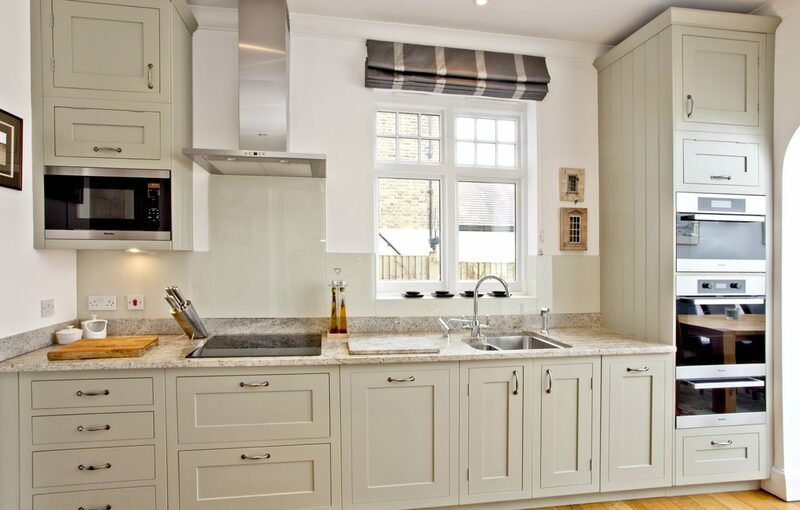 The design focused on offering the perfect environment for enjoyable relaxed living with a classic kitchen that flowed easily between each zone. 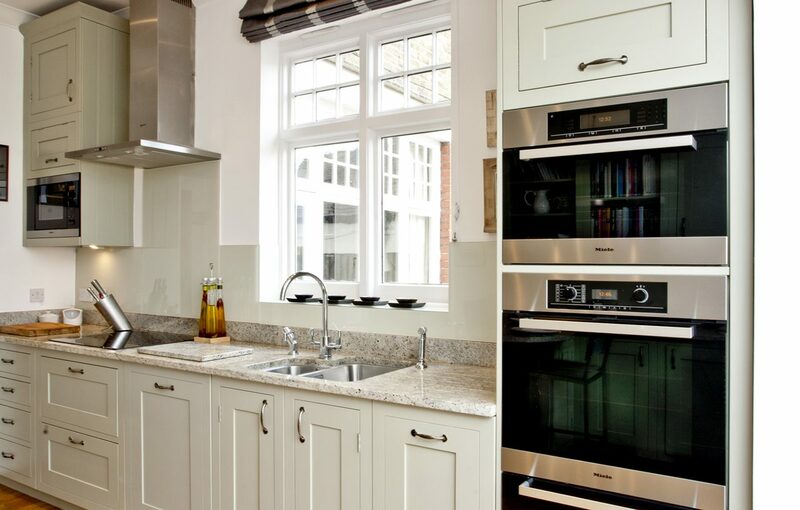 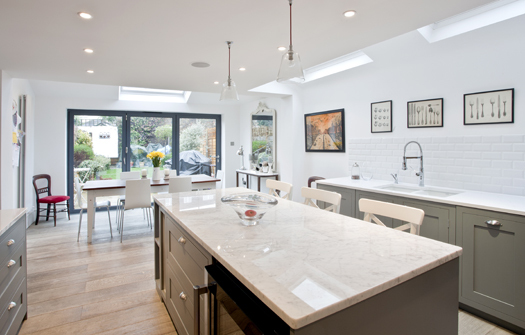 Getting the format right was vital as the client had a lot of cooking equipment as part of her entertaining business. 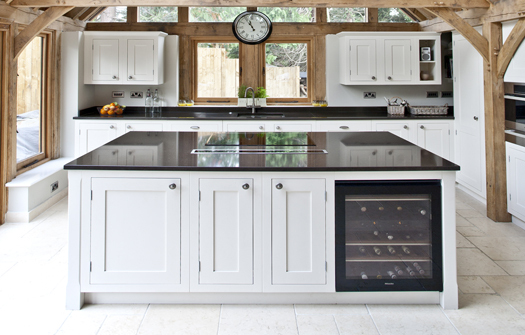 High ceilings gave the perfect opportunity for elegant Shaker cupboards, allowing much needed storage by double stacking units. 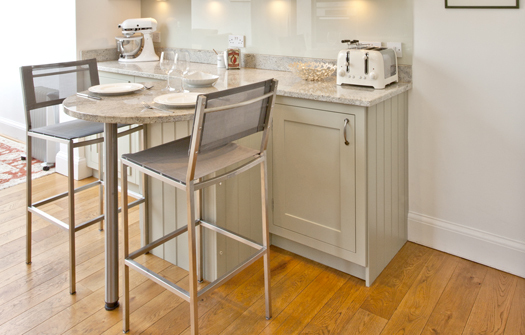 We added a small social eating area which also doubles up as an extra worktop. 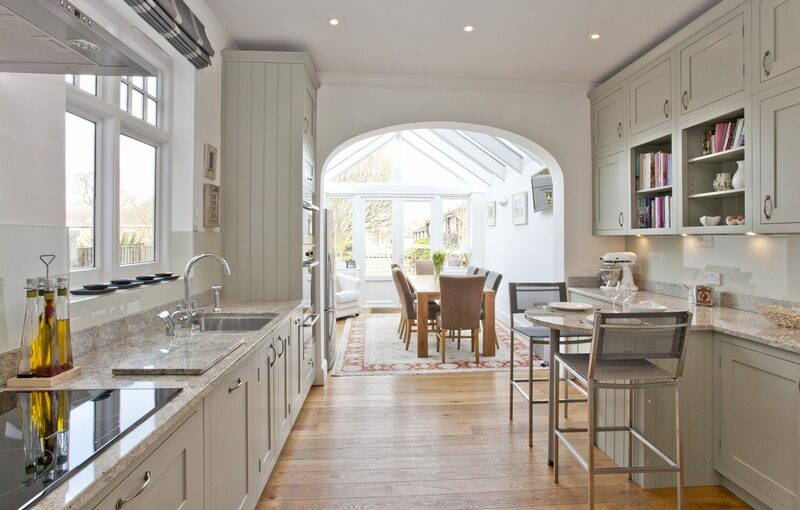 In-frame shaker units painted in Farrow and Ball French Grey gave the perfect backdrop to this timeless classic kitchen.